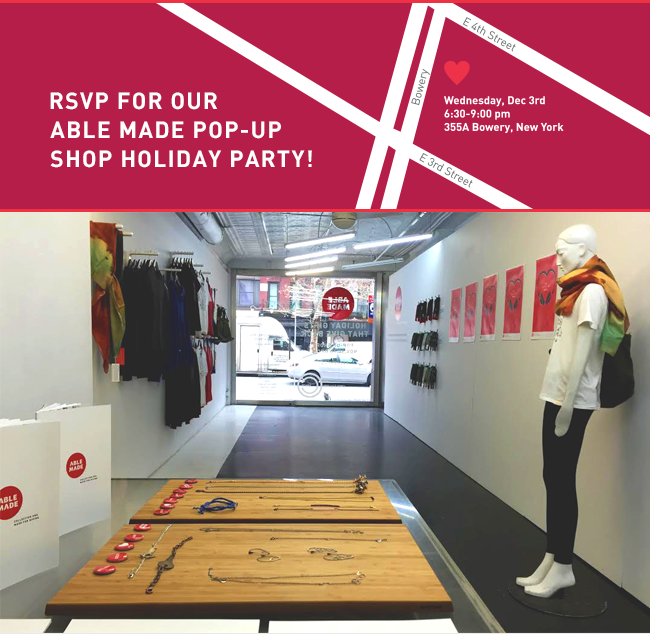 Able Made is an e-com site with a good heart - and they've popped up on Bowery just for the week! Each product is born through a collaborative partnership and supports a specific non-profit. Loomstate partnered with Able Made on a super cozy hoodie to support New York water quality projects....tonight it'll make it's debut! Stop by 355A Bowery, NYC for drinks, chillin', music, and shopping that gives back. RSVP here.